The club holds regular pool and lake sessions at a number of locations. Feel free to come along and give it a try – both children and adults are welcome to take part. Instructors are present at every session to guide you and answer any questions you may have. To take part, all you need to bring is suitable attire for swimming in (e.g. shorts and a t-shirt) and trainers for Pugneys. All other equipment will be provided (kayak, paddle, spraydeck, helmet, buoyancy aid). 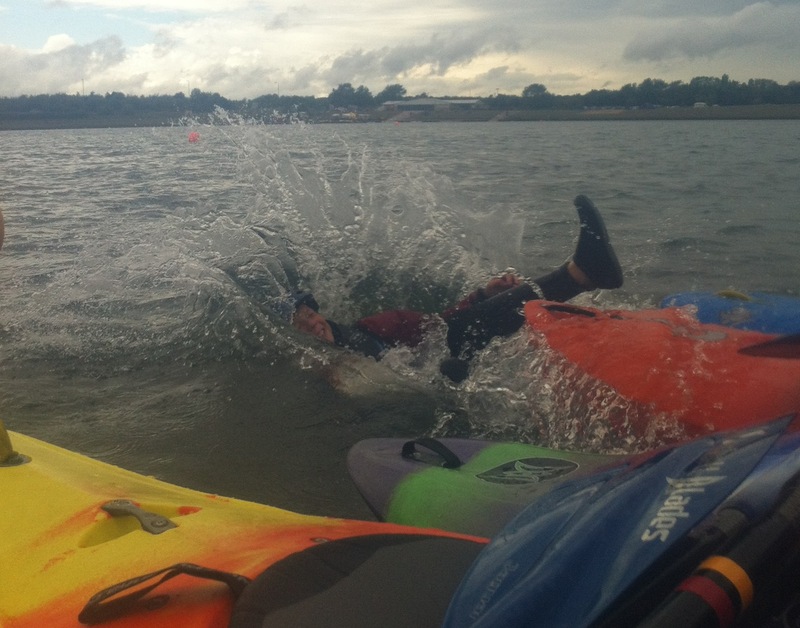 The sessions are fun and exciting and provide a good introduction to kayaking. Tuition is free although there is a small charge for the use of the pools and Pugneys. Check the Calendar for full details of where we are on a given date.